Situated in Silana, this hotel is in the same region as Cannibal Cave. How Much is a Hotel Room in Naigani Island? 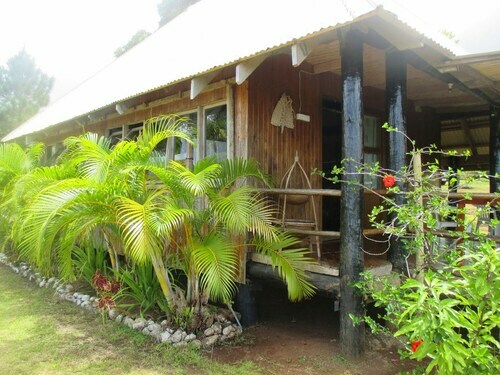 Hotels in Naigani Island start at per night. Prices and availability subject to change. Additional terms may apply. Travelocity customers to Fiji will find out there is just 1 lodging option within a convenient driving distance of where you can find the locals in Naigani Island, so consider securing a place to stay as soon as your itinerary is known. It doesn't matter that Naigani Island can't boast to having a huge collection of accommodations within a short walk of the downtown area, Naigani Island Resort is located in a great spot to please wise travelers. Suva is 40 miles (67 kilometers) south of Naigani Island and boasts Fiji Museum, Thurston Gardens and Colo-I-Suva Forest Park. If you want to spend any time in Suva, check out the rooms at the Holiday Inn Suva and Novotel Suva Lami Bay. 60 miles (97 kilometers) to the southwest of Naigani Island, you'll find [name of second nearby city or town (sibling)], home to the Pearl South Pacific Resort and Nanuku Auberge Resort. While in [name of second nearby city or town (sibling)], set aside some time to explore the Pearl South Pacific Championship Golf Course and Arts Village. Make sure you get a serving of sport by taking a pilgrimage to Fiji National Stadium, which can be found 40 miles (67 kilometers) to the south of Naigani Island. Book Travelocity-listed accommodation right in the thick of the sporting action at the Holiday Inn Suva or the Tanoa Plaza Suva. Before you head to Naigani Island, don't forget to have a look through Travelocity's Naigani Island travel page where you'll get the low-down on all the cultural attractions to be found here.